At Joybells, we are dedicated to producing outstanding cakes from simple elegance to floral, unique-themed cakes for all your special occasions. There excellent workmanship won them the 2014 Wedding Cake category and 2013 overall professional Baking Category. 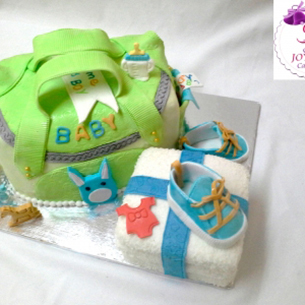 JoyBells originality and imagination provide the perfect combination for birthday cakes, baby shower cakes and cakes for all occassions. Based on your selections, your cake will be entirely custom crafted to your imagination to give your celebration day that ‘lasting impression ‘and will be talked about for years to come. The cake gallery is a collection of wonders to behold. Our prices are tailored to suit any budget. Our quotation slogan has not changed. It remains "COME TALK TO US, WE SHALL AGREE". We strive to be the best priced wedding cake bakers in Nairobi, Kenya. We work with your personalized message, colors and design. We aim satisfy in three main areas taste, texture and presentation. Order via email for memories that last a life time.